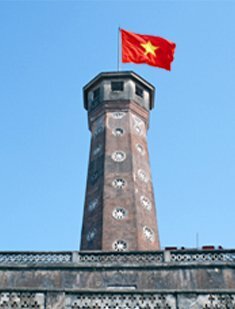 Visa vietnam - Official site for Vietnam visa. Vietnam-landingvisa.org is offering travelers the most convenient way to get their visas to Vietnam, that is visa on arrival. Visa on arrival or pre-arranged visa has been online for almost 10 years, and it increasingly becomes the most convenient way to get a visa to Vietnam as everything has been made simple from the procedure to payment methods. Vietnam Visa-On-Arrival service is available for who would like to avoid the perhaps lengthening visa procedures with their local Vietnam's Embassies. Visa Vietnam Online is legitimated and supported by the Immigration Department of Vietnam. We recommend that you should choose Visa Vietnam service upon arrival through our website: www.vietnam-landingvisa.org. As picking up visa stamp at all of the Vietnam International airports is quite simple, easy, no fail and no additional charges. Which citizens is exempting for Vietnam visa? Copyright © 2007 Vietnam-landingvisa.org. All rights reverved. Full visa services to Vietnam.